The Rossignol BC X6 FW is a versatile women's backcountry touring boot featuring Cordura® lace covers, Thinsulate® lining and women-specific fit to provide increased comfort, durability and warmth for backcountry skiers. The free-hinge cuff with velcro powerstrap provides increased stability, power and control. Featuring new external cuff gaiters, ultra-durable Cordura® lace covers, Thinsulate® lining, and a Thermo-moldable fit, the BC X6 delivers unmatched comfort, durability and warmth for exploring off-trail. Polartec Thermo Adjustable Fit - Thermoformable materials are heated so that boot volume can be changed. The boot adapts itself to the foot. Tailor-made for comfort, precision, and feel. 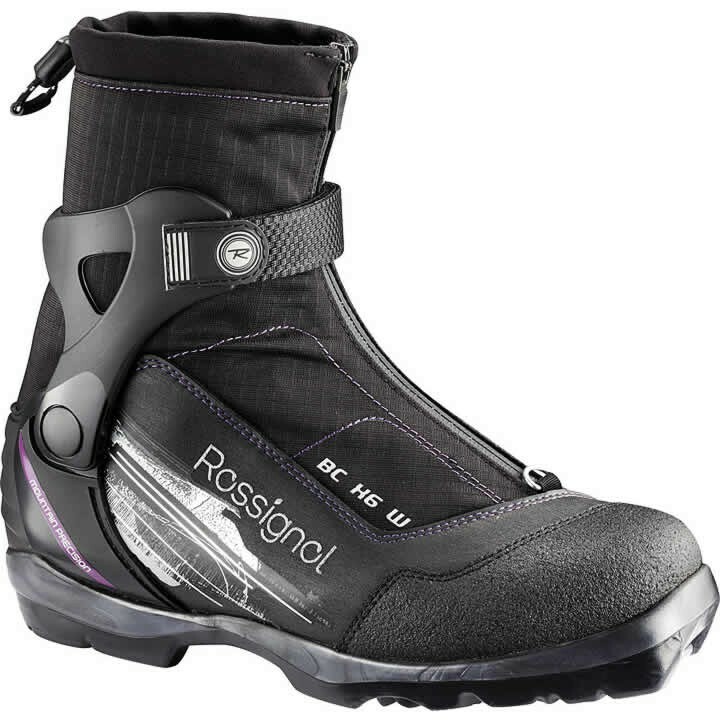 The Rossignol BC X6 FW boot runs true to size. If she wears a 39, you can be assured that a 39 in the Rossignol boot will fit. If she wears a size 40, we would suggest ordering a 40.